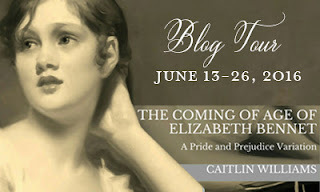 The blog tour for Caitlin Williams' 'The Coming of Age of Elizabeth Bennet' stops here today with a post about the education a young lady may have been expected to receive in Austen's time. Read on to become educated on this topic yourself, and find out more about the blog tour and how you can win an e-book of the book. 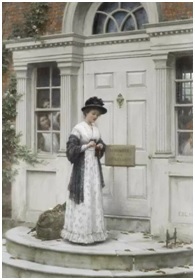 A coming-of-age story told in four volumes between Austen’s infamous couple; savour the story of the prideful man and the girl prejudiced against him, as they meet much earlier in this rethinking of Jane Austen’s masterpiece, Pride & Prejudice. Could this ‘disobedient little hellion’ one day become mistress of Pemberley and the keeper of his heart? Caitlin Williams, author of the highly-praised book, Ardently, tours the blogosphere from June 13- June 26, 2016 to share her newest release, The Coming Of Age Of Elizabeth Bennet. Fourteen book bloggers, specializing in Austenesque fiction and romance stories, will share excerpts, guest posts, an exclusive interview with the author and book reviews from this highly awaited Austen-inspired novel. Eight ebooks are also being included in our giveaways and entry is available to anyone who participates in this blog tour. Fitzwilliam Darcy is well-known for diligently performing his duties; first as George Darcy’s only son and heir, then as one of Georgiana’s trusted guardians and most prominently, as the master of Pemberley, the largest estate in the county of Derbyshire. Since his illustrious birth, his roles and responsibilities have been firmly established. During his preparation for these roles, he has been provided with an extensive and elite schooling, presumably first at the sides of numerous masters and tutors, and then, through an Oxbridge education. It is a truth universally known that a single heir, in possession of a large fortune, must be in want of a first-class education. (Old) The girl’s school that taught decorum and accomplishments like the one the Bingley sisters attended. The students were generally not of the first circles. Obviously, neither were they poor. Instead, they were exactly what Caroline Bingley was: social climbers. Students at such schools were the daughters of families of lower rank, whether well-off gentry or tradesmen, trying to prepare their daughters for entry into higher society. (Old) Traditional methods of home schooling, including masters, tutors and governesses. This was practiced by families in the first circles as well as the majority of the gentry and included practical study of household management along with the common accomplishments. (New) The Rousseau/More approach of giving children freedom to develop their characters and exercise their bodies in a natural environment. Prior to living at Pemberley in this story, Elizabeth has received instruction from a few masters back at Longbourn, but her education had been informal and though given opportunities to exercise her mind and body through the activities of her choice, such as long hours spent walking and through extensive reading, her education had been haphazard. At her father’s side, she has developed a talent for playing chess and honed a sharp tongue that often exhibits her wit and her teasing sense of humor. A defiant Elizabeth is insistent that she does not need a need a governess at Pemberley, and her brazen actions before she arrives there, certainly put a spin on George Darcy’s initial plans for her! Thankfully, Miss Temple is experienced enough to realize her role will vary regarding her interactions with Georgiana and Elizabeth. Throughout the day, she is typically found supporting Georgiana during her various musical and intellectual pursuits, while in the evenings, she spends time frequently with both ladies engaged in performing needlework and various forms of entertainment. She is the steady and firm voice of reason, as well as the nurturing companion ready to listen at a moment’s notice. It’s a tenuous balancing act navigated by her with grace and decorum. As these two young ladies grow up side by side, it’s clear they have many lessons to learn. Some of these lessons will be learned alongside of Miss Temple, while others will be learned through the twists and turns faced in their lives. It’s an ongoing process that will be shaped through the diligent development of their skills, combined with their will to succeed; and yet in the end, it’s a man’s world, so ultimately, all three of their fates will be determined by the desires and preferences of the master of Pemberley. Caitlin Williams’ newest release, ‘The Coming Of Age Of Elizabeth Bennet,’ is a reimagining of Jane Austen’s ‘Pride and Prejudice,’ told through four volumes that follows the course of young Elizabeth’s transformation from a high-tempered, impulsive girl to a graceful, capable woman. 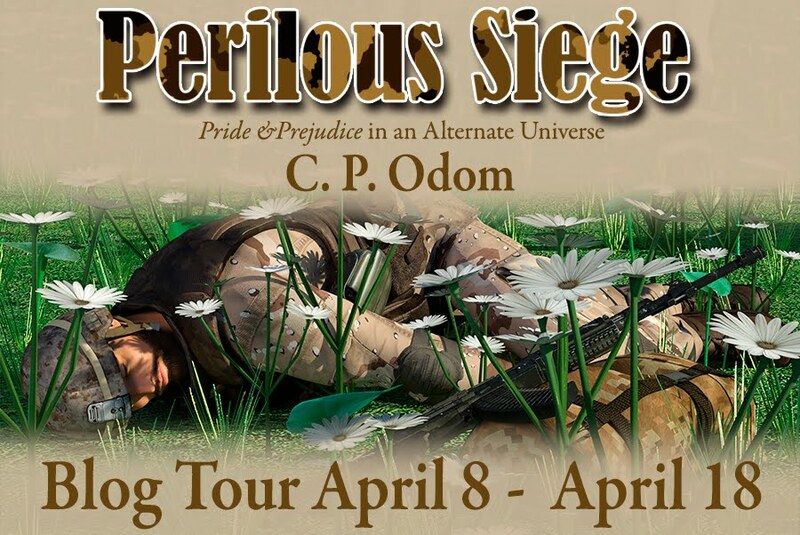 We hope that you enjoy this blog tour and have the pleasure of reading this story! But on the day she is to leave Longbourn forever, young Elizabeth, grieving and confused, runs off into the Hertfordshire countryside. Fitzwilliam Darcy gives chase, telling his father he will have her back in an hour or two. Luck and fate, however, are not on his side and capturing Elizabeth Bennet turns out not only to be more difficult than he could ever have imagined, but events conspire to turn her little adventure into his worst nightmare. The prideful man and the girl prejudiced against him, meet much earlier in this rethinking of Jane Austen’s masterpiece. Elizabeth grows up under the ever-watchful eye of Mr Darcy, from fifteen to twenty-one. She errs and falters, there are stumbles and trips, but could this ‘disobedient little hellion’ one day become mistress of Pemberley and the keeper of his heart? 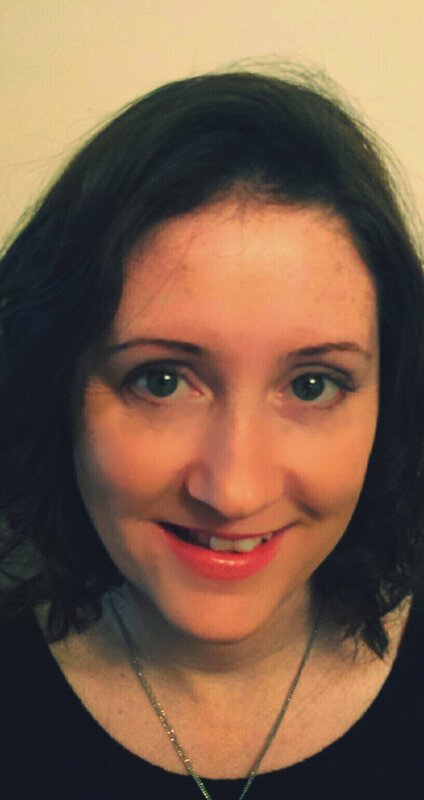 Caitlin Williams lives in Kent, England, with her family. She fell in love with all things Regency as a teenager, but particularly admires the work of Jane Austen and the way she masterfully combines humour and romance, while weaving them through such wonderful stories and characters. Her debut novel, Ardently, was written as a hobby, usually with her laptop balanced on the kitchen worktop, typing with one hand, a glass of wine in the other, while she also attempted to cook dinner and keep her children from killing each other. The success of Ardently was as much a surprise to her, as it was to anyone else, and she has been thrilled and genuinely thankful for the positive responses and reviews it generated. Her second novel, The Coming of Age of Elizabeth Bennet, is a portrait of a much younger Elizabeth, who is thrown into an extraordinary set of circumstances due to the premature death of Mr Bennet, and she hopes you all enjoy it very much. There are 8 e-books of 'The Coming of Age of Elizabeth Bennet' being given away with this blog tour. To enter, just use the rafflecopter below. Remember, as this is a blog tour there will be more stops to learn more about the book, guest posts, reviews and other stops where you can enter to win. The blog tour schedule is at the end of this post. 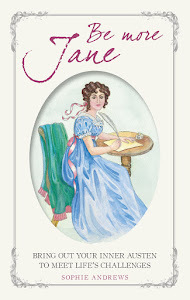 My thanks go to Caitlin Williams for the guest post and to Claudine from the Just Jane 1813 blog, for arranging the blog tour and allowing me to take part. I own the ebook and stayed up until 2 AM to finish it after I bought it. I loved Ardently and read it often but this..this is a tour de force. It is a go away I cannot put it down, it is a drag you deeply into kind of book. Both characters change and mature beautifully. Thank you for another book I will read again often. Brava! Wow, what a response! This book is a tour de force, IMO too! I love that so many readers feel that way. Thank you so much for sharing your feedback. I've read it three times already. It's now a "guilty pleasure" read for me! who has drawn the short straw and has Lydia and Mrs Bennet staying with them? That is a good point, I don't think Mr Darcy would enjoy living with either of them, but by the sound of it, Elizabeth is not the most congenial houseguest at first either! Vesper, they are together in a cottage in Meryton, with Mary and Kitty. Can you imagine the noise in that house? Ceri, thank you for supporting me and this book by sharing this tour with your readers. I hope they enjoy this post and that you get to enjoy the book soon too! Thank you Claudine. I hope everybody enjoys the post too. I hope to read the book before long. 'Ardently' is on my TBR list too, so many books, so little time! Now, that I didn't know about the school for young ladies being more for social climbers than all young ladies of the upper classes. I would hope that after Elizabeth's initial willfulness softens a bit she would have the good sense to be able to accept the advantages of a governess, but I suppose we will see how much we need to pity Miss Temple! Me too, Kirsten. She has quite a way to go by the sound of it! Thank you for great post about education of a young lady and for sharing articles about the Regency governesses, these genteel prisoners of respectable position. Miss Temple from the Coming of Age of Elizabeth Bennet sounds like a wonderful governess and good person. I wonder what will be her story in the book. I am curious to know more about Miss Temple too, Oloore. It seems to me that a girl who has lost a beloved parent and been taken miles away from all her loved ones must be in dire need of some understanding and kindness and I hope she can find it with her governess. I don't think I'd want to be a governess in those days. It sounds like a very lonely life; neither family nor servant and belonging in neither world. Mind you, I'd most likely have been one of the servants, given the background I came from originally. Thanks for such an interesting article on women's education in those times. Aren't we lucky to live in our times where we can be educated to as high a level as we wish or to the limit of our ability? I agree with you on both counts, Anji, the life of a governess sounds like a lonely one, but at least there was something that a young lady facing hard times could do to earn money in a genteel way. As women, we are so much more fortunate these days, we have so much more control over our destinies. How Jane Austen would have loved to see how much creativity was sparked by her all too short writing career. The inventiveness and imagination of authors like Caitlin Williams is irresistible. As Jane herself said, "If a book is well written, I always find it too short." I love the sound of this book and relish the thought of it being over four volumes. Like one of the fortunate ones. Hi Angela. The lot of a governess was a perilous thing, you could end up working very hard doing a thankless job. Miss Temple certainly sounds like she might have been one of the more fortunate ones. Hi Angela, can you use the rafflecopter, above? Sorry, back again. Should have said, Miss Taylor and then Mrs Weston!! I love reading about the customs of the era, thanks for sharing. Although I did not go to a private school, I went to an all girls school and had private tuition at home. Sometimes I wonder how it has shaped me as a person. I think your schooling definitely shapes you, Tamara, but I suppose it's impossible to know how you would have been different if your schooling had been other than it was. I love the premise of this story and how it is written in four volumes. Such a creative storyline! 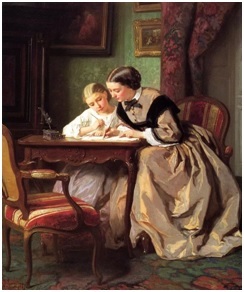 I can imagine how difficult life would be for a governess and women in general in regency times. Hi Dung, I dread to think how much harder life was for women then, especially ones without money. I read and loved Ardently and Even More Ardently,but have yet to read this book. I have no excuse,as a dear friend of mine gifted it to me,so I really need to clear the decks and simply read it. I've heard nothing but complimentary phrases when this book had been up for discussion,so I am really looking forward to shutting out the world and delving in. I'd love to know what you think of this book when you read it, Mary. I haven't read Ardently yet, it's on my TBR and I hope to get to it later in the year.